Posted on October 31, 2014	by Linda S.
I’ve been on a sewing kick recently and have been trying a few different kinds of sewing organizers. This one is very nice for keeping everything contained in a small area. It’s sewn with many pockets and then 1/2 is inserted into a coffee mug so there are pockets inside too. Retired Grandma living in North Central Texas and enjoying being able to spend my time with all my many crafting interests. 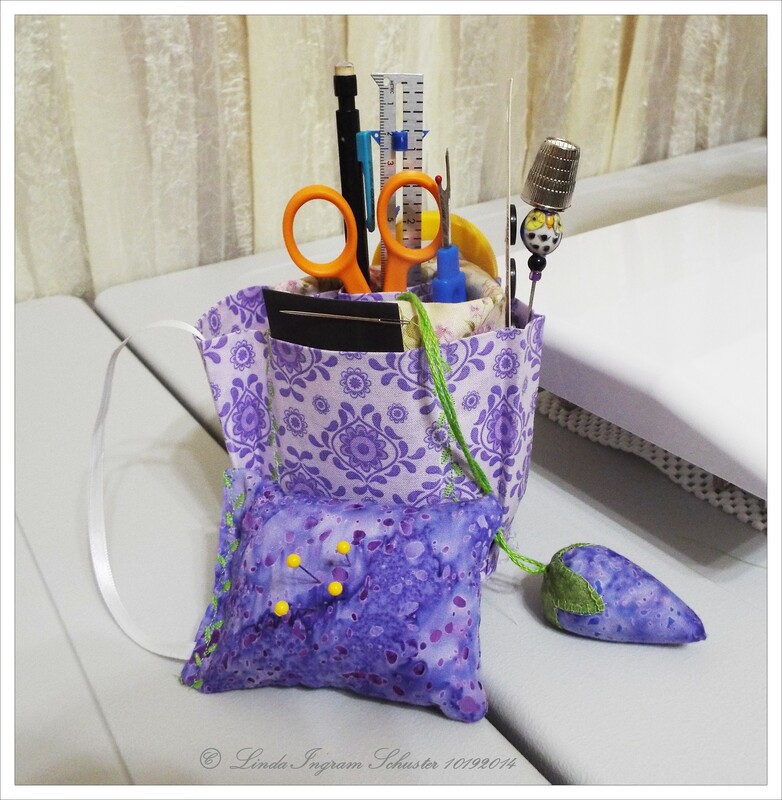 This entry was posted in handmade, Handwork, hobby, Sewing and tagged cup, free, mug, organize, organizer, pattern, sew, Sewing, stash, tutorial. Bookmark the permalink.